Violet White comes from old money, but that money has run out, along with her artistic, free spirit parents, who have left Violet and her brother living penniless in the faded family estate. When Violet decides to take on a renter for the guest house behind the estate, she doesn't expect it to be filled so quickly, nor by someone as magnetic and mysterious as River West, the new face in Echo . In spite of the odd and terrible events that seem to follow in River's wake, Violet finds herself pulled to this boy with his lazy charm and unreliable stories. But River isn't what he seems... or perhaps he's exactly what he seems. 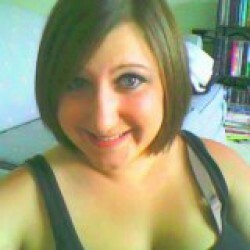 The devil takes on many forms and, in Echo, he just may be a teenaged boy with a crooked smile. A gorgeous setting and lush writing coupled with the horror and a mystery that spans decades makes Between the Devil and the Deep Blue Sea impossible to put down, even when the suspense of what might be lurking on the next page grips the reader with fear. Oh my goodness, I adore this book. 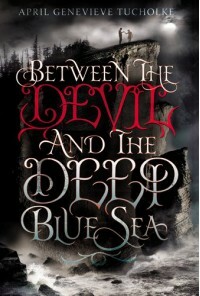 Beautifully written with dangerously flawed (and sometimes ridiculously terrifying) characters, Between the Devil and the Deep Blue Sea kept me mesmerized from the very first pages until the thrilling, heart-pounding conclusion. And finding out that there's another book has left me so excited and distracted that I'm having a hard time writing a coherent review. I spent most of the book just waiting to see what card Tucholke would deal readers next. Like Violet, we readers are simply along for the ride, watching with horror as things spiral further and further out of control in the sleepy town of Echo. The setting, crumbling mansions and the ghosts of an opulent past populated the spoiled, reckless wealthy, is both striking and lends itself perfectly to the story, with its mystery and dark family secrets. If you haven't read this debut yet, make time - you won't regret it.